Water based and quick drying clear satin varnish, touch dry in 30 minutes, recoatable in 4 hours. Gives long lasting protection to all external wood, and contains UV inhibitors to prevent fading. 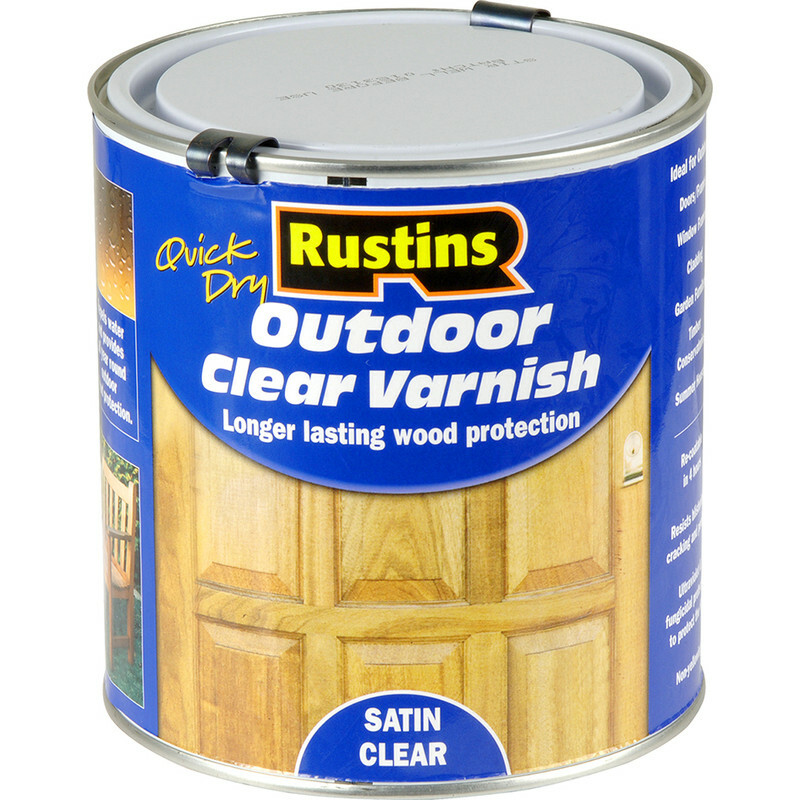 Rustins Quick Dry Outdoor Clear Varnish Satin 1L is rated 4.8 out of 5 by 26. Rated 5 out of 5 by Philgil from Superb Varnish I brought this recently and wanted an external quick drying varnish. I am extremely happy with the finish and drying time. An added bonus was that the brush can be cleaned in water. I would highly recommend this product. Rated 5 out of 5 by Graham8784 from Super finish Used to refinish arms of garden chairs. After stripping off old varnish gave 4 coats, sanding with 300 girt between coats, and got a smooth mirror like finish. Only time will tell durability. Rated 5 out of 5 by Rushie from Excellent External Varnish So easy to apply. Nice finish. Easy to clean your brushes. Rated 5 out of 5 by liftman from Great product at a great price Having bought this before I knew what I was getting. I know it's an old cliche but " it does exactly what it says on the tin " plus you can clean the brushes with water and detergent ,brilliant !